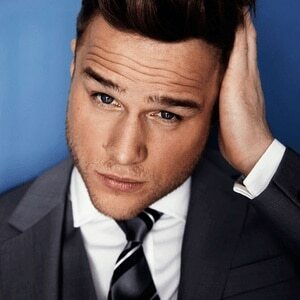 Oliver Stanley "Olly" Murs (born May 14, 1984 in Witham, Essex, England) is an English singer-songwriter. He achieved second place on the sixth series of The X Factor in 2009. In early 2010, he was signed to Syco Music and Epic Records, which are owned by Sony Music. After he toured with X Factor Finalists tour, he began recording his debut album. Murs' debut single, "Please Don't Let Me Go" charted at number one on the UK Singles Chart, after releasing it on 27 August, beating Katy Perry's "Teenage Dream" to the #1 spot.